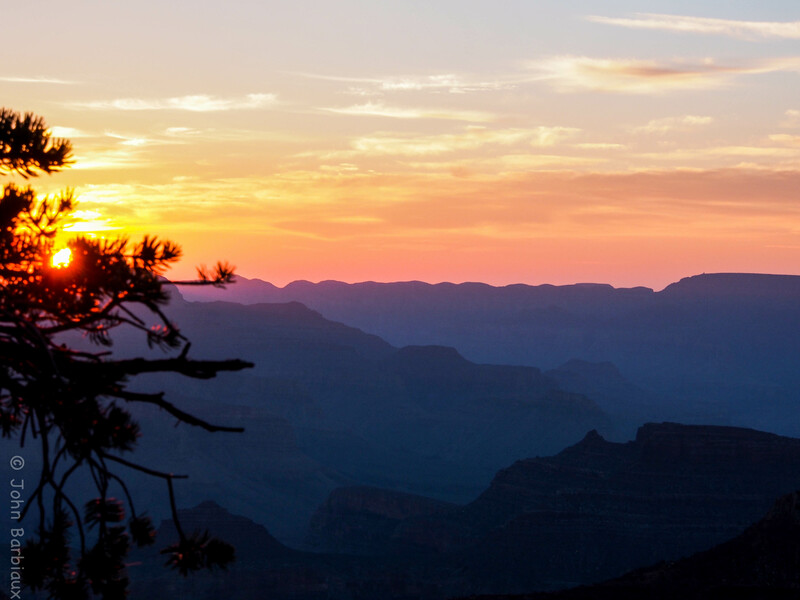 Here is another sunrise from the Grand Canyon. The branch on the left served a couple of purposes, I liked it because it added depth but without it the sun would have left light streaks all over the photograph. One of these days I’d like to take a photo using a flower or something like that to completely block the sun and be highlighted by the rays. Someday. Do not copy, distribute or otherwise use the images on this site. Images are property of the photographers who submit them.